Like many other authors, Robert Frost uses the nature as the first substantive layer. This is a picture which hides many other meanings. And each reader will be able to find their own meanings for the images the poem has to offer. The author is very attentive to every word and their sound. From the author’s point of view, the intonation plays almost the most important role in the poem, in its substantive content. 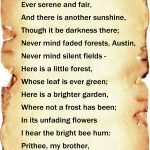 However, the melodiousness itself, which makes Frost’s poems so adorable among hundreds of thousands and even millions of people around the world, requires a separate mention. The poem is written in the iambic meter, the quatrains are clearly divided into four stressed syllables. According to many analysts, this rhythm in some way hints at the steady running of a horse. At the same time, the poem completely or almost completely lacks punctuation marks. This creates an additional smoothness, in which the reader sets the emphasis himself. The rhymes are constructed according to the classical scheme – aab bbcb ccdc dddd. The first descriptive layer will be especially attractive for those who are able to set aside all electronic devices and other technical appliances for a while. For those who are ready to go outside to enjoy the nature, listen and look at its beauties – that’s the kind of delight the author is especially pleased to write about. For someone, the lust for solitude and silence might seem natural. At the same time, another person might feel the same about the multitude of sounds and communication with a large number of people. In reality, many of us have already forgotten what it is like – to be alone and enjoy the silence. The rhythm and smoothness of the narrative are emphasized and amplified by the images the author creates, in particular – by the image of the absent owner of places that the author visits. We meet the first surprises when we stop outside the farm. The traveler makes the first strange thing, since his action is inexpedient. If you stop in a deserted place, you cannot feed the horse and rest yourself. At the same time, the author still makes a stop. To look around or to think. Perhaps, to remember someone who has certain ties with these places (or with the author himself). Perhaps it is the owner of the land. 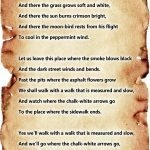 The meanings of this poem are so deep that they let us make many different assumptions, including those connected with the death of this person – the owner of these places. What is the darkest day – is it a winter solstice day or a funeral day? What gives the poem its special atmosphere – the nature or the meanings, hidden in a seemingly calm description? The last quatrain is filled with many allusions to strong fatigue from the constant strain of all forces which creates the desire not only to walk in nature, but also to unite with it in eternity. Simply put, the image created by the author is too similar to the image of a potential suicide, which is still too much biased by his daily routine at the moment of narration. However, the idea to cease fussy terrestrial existence quite clearly shows itself in the relationship to nature, which attracted the traveler’s attention. Yes, he still has to overcome a certain distance (or time), “And miles to go before I sleep, And miles to go before I sleep”. 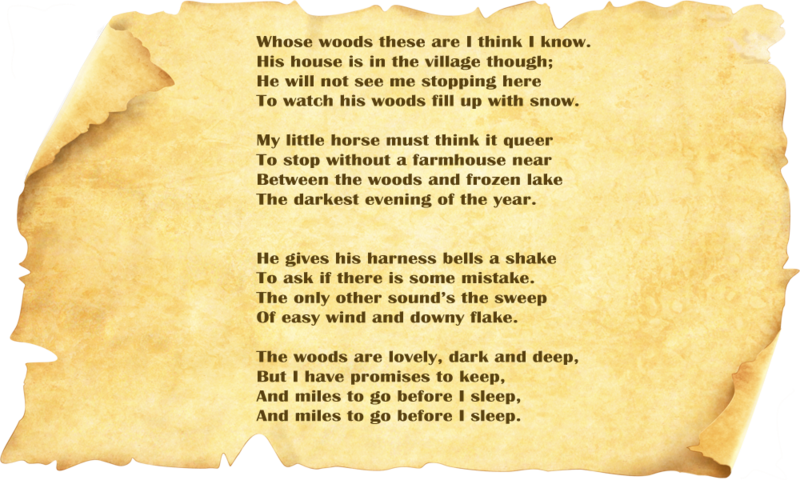 However, the author himself denied that this poem can be filled with such meanings.